As we celebrate Hispanic Heritage Month, we must ensure historic preservation helps tell the story of all Americans. 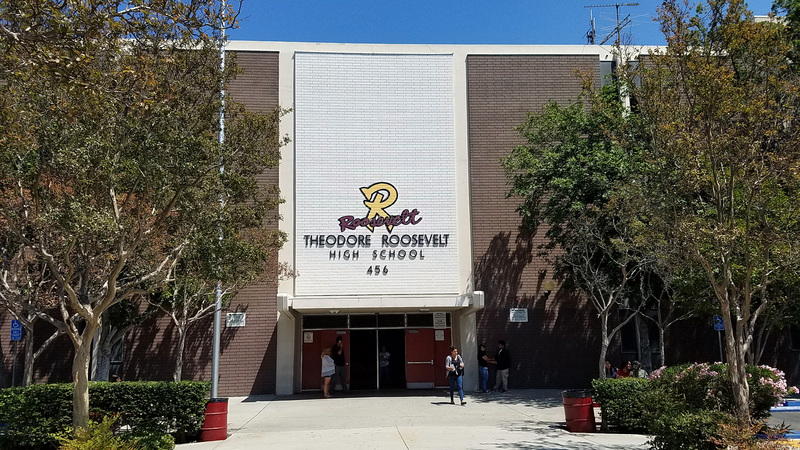 An important historic site to Latinos is Roosevelt High School in East Los Angeles, California. It is one of the five high schools that participated in the 1968 Blowouts–when young Latinos rose up to protest bad schools. Schools are flash points for some of the most important events in our political history. 1947: Mendez v. Westminster School District of Orange County determined that the school system may not discriminate and must provide for social equality. 1954: Brown v. Board of Education determined that separate educational facilities for minorities were unconstitutional. And 1968: After enduring years of substandard facilities, lack of books, decidedly racist attitudes, and overcrowding, students from five predominantly Latino high schools on the east side of Los Angeles decided to walk out of class and stage protests. Several protests erupted across the country. In March 1968, Roosevelt High School—along with Wilson (now El Sereno Middle School), Lincoln, Belmont, and Garfield High Schools—were thrust into the national spotlight when thousands of Chicano students and supporters staged that series of organized walkouts to demand educational equity. Roosevelt administrators locked the school gates to prevent students from leaving, and Los Angeles Police Department squad cars surrounded the campus, to no avail. Roosevelt High School’s original auditorium and classroom building, known as the R Building, was the primary setting for walkout activities on the Roosevelt campus, including a student sit-in and an assembly held by district officials. Historians have detailed the significance of the East L.A. walkouts as the first major protest against racial and educational inequality staged by Chicanos in the U.S., and an important catalyst for the Chicano civil rights movement. March 6, 2018, marked the 50th anniversary of the walkouts, giving the Los Angeles Unified School District (LAUSD) a unique opportunity to recognize and preserve an important part of our local and national history. With the 50th anniversary recently behind us, the LAUSD has voted to demolish the R Building, one of the Blowouts’ key sites. The 1922 structure is one of 12 historic buildings that, together, make up a historic district determined eligible for listing in the National Register of Historic Places. This building is of unquestioned architectural merit and was the setting of a profoundly important act in our history. What of the other schools? Lincoln, Wilson, Belmont, and Garfield High Schools share remarkably similar characteristics with Roosevelt’s R Building. Will the other four high schools be subject to the same treatment when their time comes? Preserving historic sites, such as these five Los Angeles high schools, is essential to telling the complete story of our American history. The schools associated with the struggles for inclusion in education, and thus against discrimination, form a constellation of critical sites stretching along the southern border from California to Florida. This history should not be erased. Preserving sites such as these helps those in the future understand the importance of freedom and equality for all of our citizens.